TruHorizon can be your third party erosion and sediment control inspector. Our degreed/certified environmental staff can manage your routine weekly inspections as well as the non-routine inspections that are often required within 24 hours of significant rainfall events. Inspection reports are provided to document the existing conditions and provide guidance on required repairs and maintenance to the BMP’s on location ensuring you are always in compliance. Detailed inspection reports include both maps and narrative reports. 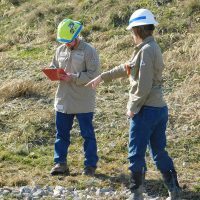 In addition to erosion and sediment control inspections, our team can provide reports on the condition of equipment, tanks or other items on location, containment measures designed to control fluid releases, compliance with site permits, signage and access control and HSE related inspections.